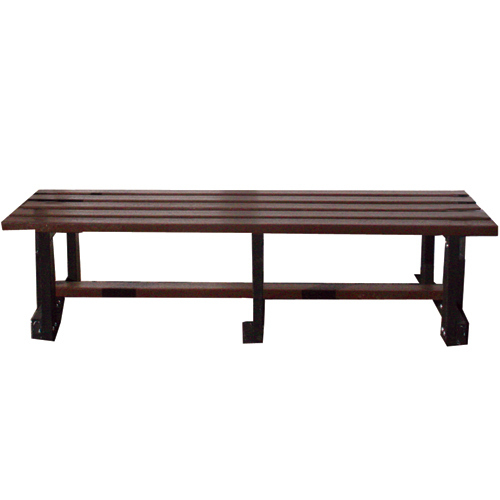 Strong & durable Picnic Table with 4 individual benches. 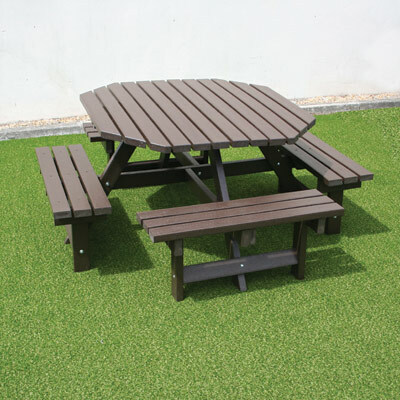 Made from 100% recycled plastic. 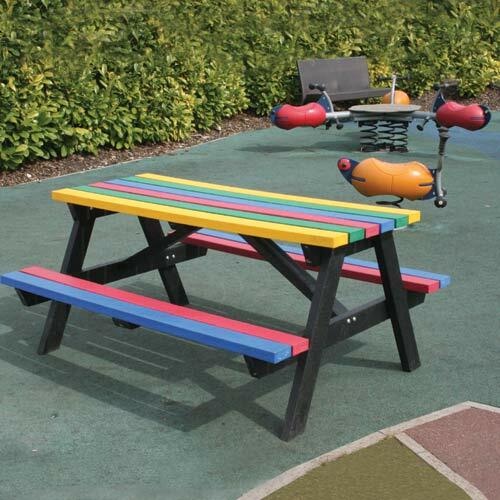 Multicoloured Picnic Table is fantastic for Schools and Day Care Centers - 100% recycled plastic - available in small or medium sizes. 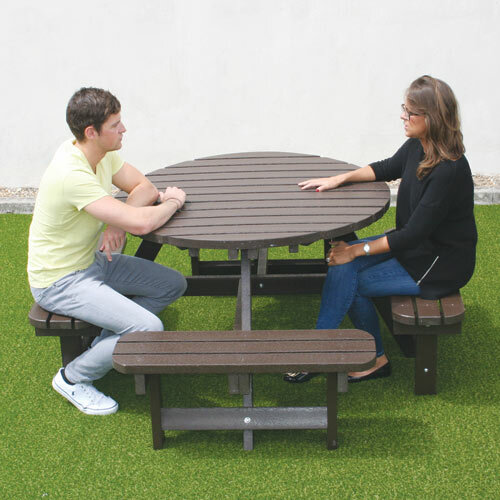 Brand new stylish picnic table designed with safe curved edges, suitable for all ages. 100% recycled plastic. 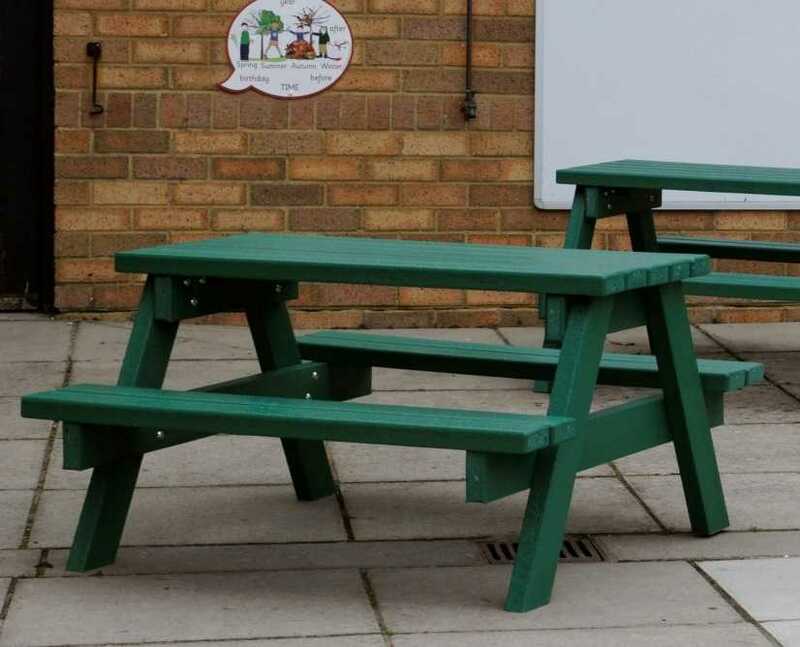 Mini Version of our standard picnic table - perfect for children!